The primary market is the part of the capital market that focuses on the issuing of new securities and on long-term capital formation. Companies, governments or public sector institutions can issue bonds on financial markets to rasie capital. This is a traditional source of financing for non-financial companies. Companies can also raise capital by offering their stock to the public for the first time in an initial public offering (IPO). Banks play a key role in advising companies on their IPOs and providing underwriting services, by acting as a broker between the issuing company and the investing community to help the issuing company sell its initial allocation of shares. Once the initial sale of stock is completed on the primary market, further trading of this stock takes place on the secondary market. 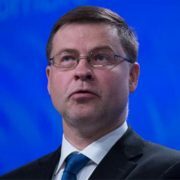 Making it easier for companies to enter and raise capital on public markets is a key element of the European Commission’s Capital Markets Union (CMU) project. Integrated, efficient and resilient corporate bond markets are seen as a vital and core pillar of a successful CMU. 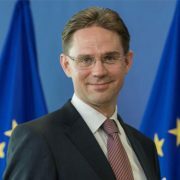 Accordingly, the Commission has undertaken several initiatives as part of this drive, including revision of the Prospectus Directive, a review of the regulatory barriers to SME admission on public markets and SME growth markets, and undertaking a review of EU corporate bond markets, focusing on market liquidity. The PMWG is responsible for all topics related to Primary securities markets and securities listing. Its aim is to assist its members to coordinate views on relevant legislation and to achieve a better environment for listing for financial market participants through best practice and regulation. The work of the Primary Markets WG is currently being reoriented under a new Chairman.